Philadelphia police have arrested well-known Mummer Carmen D'Amato, 62, in the shooting and beating of a man in Queen Village last weekend. Rita D'Amato, 36, his daughter, was also charged after the two turned themselves in to South Detectives on Friday. Police had contacted the D'Amatos after arrest warrants were issued earlier in the day, police said. The D'Amatos believed the victim may have been breaking into cars, a law enforcement source said. Both were charged with aggravated assault, possessing an instrument of crime, reckless endangerment, and related counts. The father was also charged with illegally carrying a gun, according to court records; the daughter was also charged with tampering with or fabricating physical evidence. Police had earlier released video of last Saturday's attack in the 100 block of Carpenter Street. A woman in the video crouches into a batting stance and swings a baseball bat at the victim's chest, knocking him to the ground. As the victim tries to run, the man on the video is seen turning and firing a shot into his leg. The victim, a 36-year-old homeless man, told police the woman said, "You know what you did, you son of a . . . ," before swinging the bat. The arrest warrants were issued a day after police executed a search warrant on the D'Amato home on the 900 block of South Front Street. Investigators searching the home Thursday afternoon recovered two handguns, a law enforcement source said. Footage from the home's security cameras showed the father and daughter leaving the house and later reentering it, wearing similar clothing to that of the suspects seen on the video, the source said. Investigators believe Rita D'Amato tried to erase or modify that footage, the source said, leading to her charge of tampering with evidence. Carmen D'Amato is something of a legend among South Philadelphia Mummers brigades. At just 21, he was inducted into the Mummers Hall of Fame and served as captain of the South Philly Vikings for several years. He turned the beleaguered club into a powerhouse team that, in the late 1980s and early 1990s, boasted several first-place finishes in the Fancy Brigade Division, according to a 1990 article in the Philadelphia Daily News. His term as Vikings captain was cut short when he was indicted in 1988 on charges of conspiracy to manufacture and distribute methamphetamine and defrauding the IRS. He was acquitted of the drug charge, but sentenced to four years in federal prison for tax fraud. Before his sentencing hearing, 44 people sent in letters of support. "Before going away," the Daily News reporter wrote, "D'Amato was given 30 days to put his affairs in order. Club members say he spent almost all that time planning for the 1990 Mummers extravaganza." D'Amato continued to plan the performance even from prison, sending messages through family members and placing collect calls, the Daily News reported. The Vikings went on to win their third straight first-place finish in the Fancy Brigade Division that year, with a "Dirty Dancing"-themed performance featuring "dancing piles of trash." 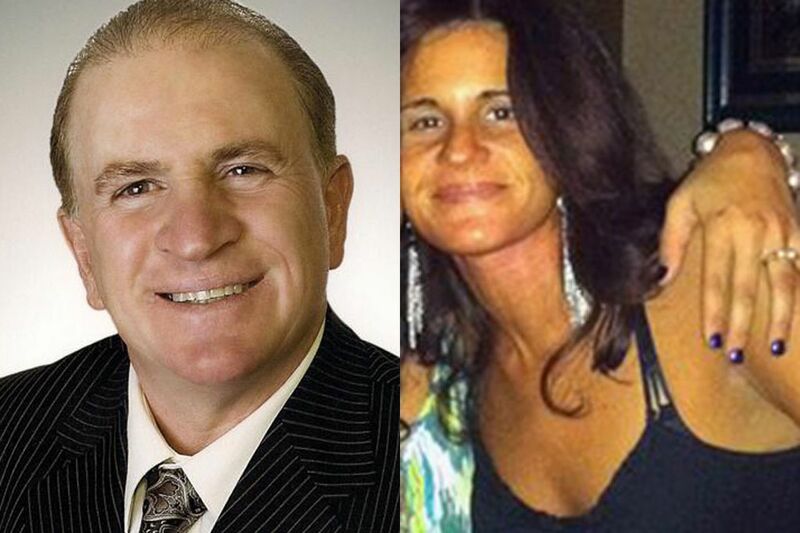 Carmen D'Amato was taken into custody on $350,000 bail, according to court records. His daughter was released after posting 10 percent of her $150,000 bail. Inquirer staff writer Mike Newall contributed to this article.